BOURGET, IGNACE, Roman Catholic priest and bishop; b. 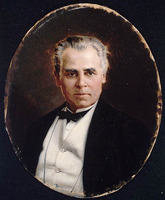 30 Oct. 1799 in the parish of Saint-Joseph (now in Lauzon), Lower Canada, son of Pierre Bourget, a farmer, and Thérèse Paradis; d. 8 June 1885 at Sault-au-Récollet (Montréal-Nord), Que. Ignace Bourget’s forebear, Claude Bourget, was originally from the Beauce region around Chartres, France. On 28 June 1683 at Quebec City he married Marie, the daughter of Guillaume Couture*, a former donné of the Society of Jesus and a companion in captivity of Isaac Jogues*. 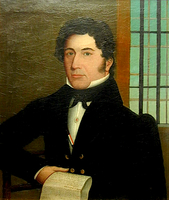 Ignace was the eleventh of 13 children and in 1811, after a primary education about which little is known, he entered the preparatory class at the Petit Séminaire de Québec. 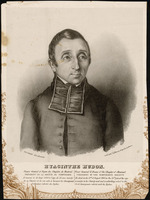 His brother Pierre, who was 13 years older than he, had preceded him at the seminary and was ordained priest on 4 June 1814. Ignace proved a studious pupil but his assiduity did not earn him the highest academic rank. 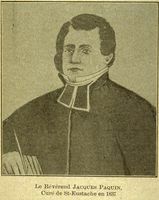 One of his fellow students was Étienne Chartier*, who was to become notable as “chaplain to the Patriotes,” and his teachers included Charles-Joseph Ducharme*, subsequently a parish priest and founder of the Petit Séminaire de Sainte-Thérèse, and Antoine Parant*, later spiritual director and procurator of the Séminaire de Québec. A pious youth, Bourget was admitted to the Congrégation de la Sainte-Vierge in 1812. 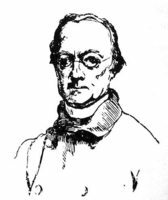 Being clearly destined for the priesthood, he was tonsured on 11 Aug. 1818 in the cathedral at Quebec City and by the next month was at the Séminaire de Nicolet, where for three years he studied theology and taught first and second year classes in Latin elements and Syntax respectively. 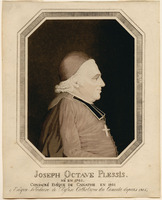 Joseph-Octave Plessis*, the archbishop of Quebec, conferred minor orders upon him on 28 Jan. 1821 and, at the parish church of Nicolet on 20 May, the subdiaconate. 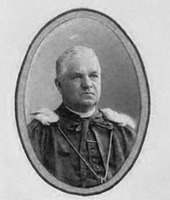 The next day Bourget left to assume his new appointment as secretary to Jean-Jacques Lartigue*, the auxiliary bishop at Montreal. He received the diaconate at the bishop’s residence in the Hôtel-Dieu on 22 Dec. 1821 and was ordained priest on 30 November the following year. The tasks facing the new priest soon multiplied. 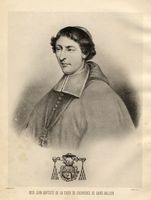 In addition to his duties as secretary to the bishop, Bourget took on supervision of the building of the episcopal residence and of the church of Saint-Jacques, the corner-stone of which was blessed on 22 May 1823. Construction, carried on at a brisk pace, was completed two years later and Archbishop Plessis consecrated the church on 22 Sept. 1825. 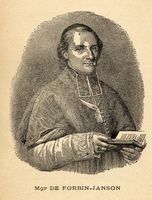 Bourget was then appointed first chaplain of Saint-Jacques where he was responsible for organizing the pastoral ministry and seeing to the conduct of public worship. He also directed the Grand Séminaire Saint-Jacques which was housed with a primary school on the ground floor of the episcopal residence; there were never more than 20 students studying theology. It was because Bourget showed himself to be Lartigue’s spiritual heir and increasingly shared his views concerning church government that the bishop decided to propose him as his successor to the episcopal see in which he had been enthroned on 8 Sept. 1836. But this candidature, when it was submitted to Pope Gregory XVI, met with the opposition of the Sulpicians, who saw Bourget as an adversary because he shared Lartigue’s suspicion of them, as well as that of certain parish priests in the Montreal region [see Jean-Baptiste Saint-Germain*]. These priests held that Bourget lacked the attainments essential for a bishop in an environment where there were many Protestants and considered him too preoccupied with rules and the minutiæ of discipline. But Pope Gregory overruled these objections and by an apostolic brief dated 10 March 1837 appointed Bourget bishop of Telmesse in partibus infidelium and coadjutor to the bishop of Montreal with right of succession. He was consecrated on 25 July in the cathedral of Saint-Jacques by Lartigue, assisted by Bishop Pierre-Flavien Turgeon*, the coadjutor of Quebec, and Bishop Rémi Gaulin*, the coadjutor of Kingston, Upper Canada. Lower Canada was then passing through a difficult period. Faced with the rebel agitation in the Montreal region, Lartigue took a stand against the partisans of his cousin Louis-Joseph Papineau*. In a pastoral letter of 24 Oct. 1837 he resorted to the arguments of Pope Gregory’s encyclical Mirari vos of 15 Aug. 1832 which condemned the propositions, deemed revolutionary, that La Mennais, who had shifted from ultramontanism to liberalism, had developed in his Paris paper L’Avenir. The young coadjutor, a model of loyalty to his hierarchical superior, adhered with the full force of mind and heart to the views expressed in the encyclical. This document provided the traditionalist and authoritarian answer to the great problem confronting the Roman Catholic Church since the beginning of the century: what attitude should be adopted to the world born of the intellectual and political revolution of the 18th century and particularly of the régime of civil and religious liberties proclaimed in the “Declaration of the Rights of Man and of the Citizen.” Here, as Bourget himself later clearly indicated in his opposition to the liberal arguments of the Institut Canadien, was, at its origin, the explanation of the stance he would maintain throughout his episcopate. But for the moment Bourget had to deal practically with the spiritual needs of a Catholic population scattered across a vast area bounded by James Bay on the north, the United States on the south, the border between Upper and Lower Canada on the west, and a line on the east which was halfway between Montreal and Quebec. 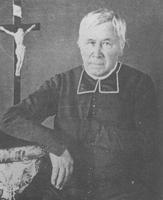 Bishop Lartigue’s declining health forced the coadjutor to undertake more and more of the administration of the diocese, which had 79 parishes, 34 missions at widely dispersed points, particularly in the Eastern Townships, and four missions to the Indians. With a total of 186,244 adherents of whom 115,071 were communicants, the diocese had 22,000 Catholics in Montreal itself – two-thirds of the town’s inhabitants. To inform himself as fully as possible of the needs of the diocese, Bourget set out to visit it. From 1 June to 14 July 1838 he was received by 16 parishes, and from 21 May to 5 July of the following year by a like number. 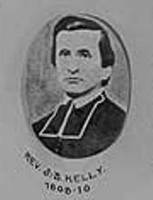 In 1839, with the assistance of the Jesuit Jean-Pierre Chazelle*, rector of St Mary’s College near Bardstown, Ky, he instituted a retreat for his priests; the success of this endeavour led him to make such week-long retreats an annual event. Thus, when Lartigue died on 19 April 1840, Bourget inherited a task with which he was thoroughly familiar. The plans conceived by Lartigue were to be realized by the person who had inherited both his see and his spirit. In the autumn of 1840, as he continued to explore his vast diocese, Bishop Bourget went to the north shore of the Ottawa River. Its flourishing lumber industry [see Philemon Wright*] and the dynamism of some 5,000 settlers prompted him to lay the foundations of eight new missions, the nucleus of a religious structure which would lead in 1847 to the establishment of the diocese of Bytown (Ottawa). To meet needs whose magnitude would have discouraged anyone else, the bishop of Montreal first consolidated the means already available to him. In November 1840 the training of ecclesiastics, conducted since 1825 in haphazard fashion at the Grand Séminaire Saint-Jacques, was entrusted to the Sulpicians of the Petit Séminaire de Montréal. A hospital was required at Saint-Hyacinthe: he detached four religious from the Hôpital Général to form a new community of Sisters of Charity. 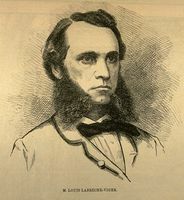 Bishop Lartigue had long wanted to establish a religious journal independent of politics. This project was realized in December 1840 when the Mélanges religieux began publication in Montreal under the direction of Abbé Jean-Charles Prince*, superior of the Séminaire de Saint-Hyacinthe. Up to this point the bishop of Montreal had called upon the internal resources of the diocese. 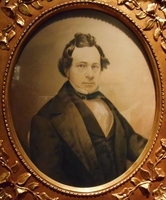 In the period 1840–42 the preaching of Bishop Charles-Auguste-Marie-Joseph de Forbin-Janson*, a Bourbon supporter who had come to North America from France in 1839, marked the beginning of a contribution from elsewhere which would grow in the coming years. French-speaking circles in North America, from Louisiana to Lower Canada, in turn heard this fervent Legitimist. He gave free rein particularly in the Montreal region to a stirring eloquence which did not disdain the spectacular methods used in France during the celebrated Restoration missions 20 years earlier, and which now resulted in the erection of a gigantic cross – “the tallest and most beautiful in the world,” as he proudly asserted to a compatriot – on Mount Belœil in October 1841. Less conspicuous but more lasting effects resulted from a trip Bourget made to Europe that year, from 3 May to 23 September. Personnel had to be recruited for the parishes to be supplied, the schools and colleges to be founded, the missions to be established or strengthened. In addition, thought had to be given to setting up an ecclesiastical province in order to unify the administration of the Canadian dioceses under a presiding metropolitan. The shortage of priests was a particular concern of the bishop of Montreal. The situation in Lower Canada had, it is true, improved since 1830. 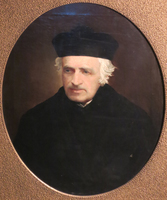 Nevertheless the diocese of Montreal, where needs were pressing and where Protestant proselytism had been making headway because of the presence of Swiss evangelical missionaries since 1834 [see Henriette Odin*], was in a less advantageous position than the diocese of Quebec. Although the recruitment of secular priests met with a somewhat disappointing response from the bishops, apart from three Sulpicians who arrived in Montreal in the autumn of 1841, the religious congregations reacted enthusiastically to Bourget’s invitation. On 2 Dec. 1841 six Oblates of Mary Immaculate, four fathers and two brothers, landed in Canada [see Jean-Baptiste Honorat*]; on 31 May the next year it was the turn of the Jesuits, with six fathers and three lay brothers headed by Father Chazelle; on 26 December some sisters of the Society of the Sacred Heart of Jesus arrived to take over the direction of a school at Saint-Jacques-de-l’Achigan (Saint-Jacques); and finally, on 7 June 1844, four Sisters of Our Lady of Charity of the Good Shepherd from Angers came to give assistance to their colleagues who had already arrived in Montreal [see Jacques-Victor Arraud*]. 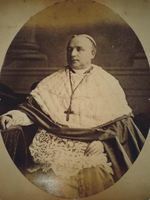 Bourget, whom a new pope, Pius IX, was to regard as the guiding spirit of the Canadian episcopate (as he said in confidence in 1847 to the founder of the Oblates, Bishop Charles-Joseph-Eugène de Mazenod), was not satisfied merely with promoting fruitful developments in his own diocese. 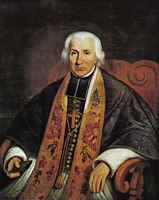 He worked actively for the realization of projects that concerned the Canadian church, such as the establishment of the ecclesiastical province of Quebec, erected by a papal bull of 12 July 1844, and the conferring of the pallium on the metropolitan, Archbishop Joseph Signay*, a ceremony over which he presided on 24 November in the cathedral at Quebec. Canada West also received his attention and watchful zeal. It was partly due to him that the diocese of Toronto, detached from that of Kingston, was created in 1841, and endowed with a cathedral which he consecrated on 29 Sept. 1848. 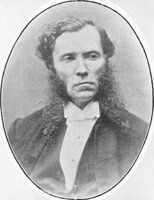 Bishop Gaulin, who was unable to provide adequately for the administration of the diocese of Kingston, had received Bishop Patrick Phelan* as a coadjutor in 1843; the city of Kingston itself, chosen to be the capital of the Province of Canada, had little in the way of Catholic education and assistance to the sick. Accordingly Bourget invited the Congregation of Notre-Dame to set up a primary school in Kingston [see Marie-Françoise Huot*]. He also asked the Religious Hospitallers of St Joseph from the Hôtel-Dieu at Montreal to establish a hospital for the town and surrounding district; this was carried out in September 1845. 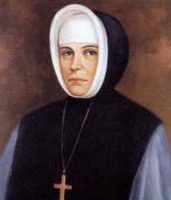 On 12 February that year Bytown had received a group of Grey Nuns [see Élisabeth Bruyère*], this community having in the previous year sent a contingent of its members to the Red River region [see Marie-Louise Valade*], again at the prompting of Bourget. The mere enumeration of these achievements is an eloquent testimony to the enthusiasm and energy of the tireless bishop. But his innovative measures both inside and outside his own diocese had in the end displeased his hierarchical superior, Archbishop Signay of Quebec, who was a procrastinator and little given to breaking new ground. 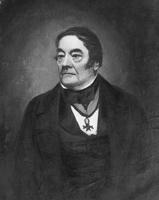 Bourget had suggested to him in December 1844 that he should call a first provincial council in order to demonstrate that the title of archbishop was not merely honorific and that an important responsibility was attached to it. Signay was stung and his inertia became stubbornness. At the end of his tether, Bourget decided to go once more to Rome. There, with the encouragement of Abbé Charles-Félix Cazeau, the archbishop’s secretary, he sought – albeit in vain – his superior’s resignation; he had already, with brutal frankness, written to Signay himself on 25 Sept. 1846: “For a long time I have been thinking that Your Grace should give up the administration of your archdiocese, contenting yourself with retaining the title of metropolitan. I shall use the occasion of my journey to Rome to put before the Holy See the reasons leading me to believe that it might be time for you to relieve yourself of this burden.” Indeed in his opinion there were problems pending which only a concerted effort of the bishops in a provincial council could solve: non-observance of rituals, a complete revision of the catechism manual, and any number of other improvements in the organization of the Canadian church were all needed. This second journey, in 1846, during which Bourget witnessed with delight the delirious demonstrations in Rome in favour of Pius IX, who had just succeeded the unpopular Pope Gregory, brought results as impressive as had his first. 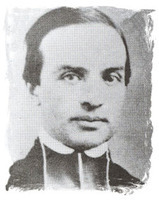 The decision was taken to create the diocese of Bytown, and its first bishop was his own candidate, Joseph-Bruno Guigues*, the superior in Canada of the Oblates of Mary Immaculate. Moreover, Bourget returned with some 20 labourers for the faith: his repeated invitations brought responses from the Congregation of the Holy Cross [see Jean-Baptiste Saint-Germain], the Clerics of St Viator [see Étienne Champagneur], the Jesuits, and the Sisters of the Society of the Sacred Heart of Jesus. When the great epidemic of 1847 swept Montreal, Bourget was able to detach several priests from his reinforced team to go to the aid of those stricken with typhus. He himself set the example and was fortunate to escape the ravages of the disease, unlike the nine priests and 13 religious sisters who were victims of their own dedication. 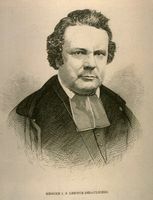 By the dawn of 1848 Bourget was justified in believing that the prediction he had shared with Bishop Turgeon in the dark days of 1837 had come true: “The people, seeing their clergy take up their interests at a time when their previous leaders abandon them to the mercy of an authority which they have insulted out of ignorance, will recover their feelings of affection and trust towards their pastors.” During the decade just ended, a swing back towards the clergy had indeed occurred and the practice of religion had noticeably improved: the moving addresses of Bishop de Forbin-Janson had stirred hearts and minds, and the new clergy from Europe had sustained and consolidated the effects of his preaching. Moreover, one of the greatest paradoxes of this troubled period was the result produced by the French Canadian Missionary Society [see Henriette Odin], founded by English-speaking Protestants of Montreal in 1839, shortly after the ill-fated rebellion, to take advantage of a situation unfavourable to the Catholic clergy in order to recruit adherents. In fact, contrary to the expectations of the society’s promoters, this same clergy, when put on the alert, made every effort to counteract the activity of the Swiss missionaries effectively and to recover “by dint of good offices,” as Bourget had urged, the trust of the people which had been temporarily shaken. By 1848 “Christianization,” to use the bishop’s word, had gradually permeated all levels of French Canadian society. Religious congregations of men and women were given an increasingly important role in primary education, while the clergy, through the classical colleges which were under its sole direction, ensured the recruitment and training of the élite of the middle class. At the same time, the people of the towns, countryside, and settlements were fitted with a solid organization by parish priests and missionaries. Hospital and charitable assistance was dispensed by religious hands. Finally the Mélanges religieux, the Canadian counterpart of L’Univers though without the talent, and the Œuvre des bons livres, a library established in 1844 in Montreal [see Joseph-Vincent Quiblier*] on the model of one at Bordeaux and recognized in a pastoral letter of 20 Sept. 1845, proposed to inculcate “good principles” and sound doctrines. These accomplishments were the fruit of unceasing labour. In the habit of allowing himself no more than five hours’ sleep a day, Bourget seemed to contemporary witnesses to have taken a vow to waste no time. 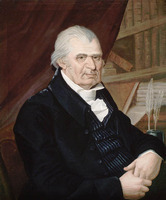 A man of action and authority, he nevertheless, like the most industrious and versatile of authors, left an impressive number of published and manuscript works. These manifest an extraordinary dedication to the task of composition, especially given that the written word never came easily to him. Bourget always commenced his pastoral letters well ahead of time and repeatedly revised his texts before sending them to the printer. Heavily burdened with all manner of tasks and worries, the bishop was none the less easy to approach. Even the inopportune visitor did not seem to irritate him. In intimate gatherings he had an inexhaustible fund of conversation and never missed the chance to make a teasing remark or to enjoy the apt retort, even at his own expense. The prelate made an impression whenever he performed his episcopal duties. His mitre crowning his prematurely white hair, he would stride rather abruptly into the church to participate in liturgical rites with impressive dignity. When he undertook to speak, the conviction which enlivened his remarks made his lively blue eyes sparkle all the more and gave to his even features a ruddier hue. 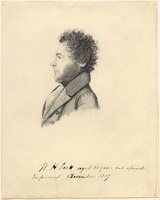 A churchman whose reputation for saintliness soon spread throughout the diocese, and whose sympathy and compassion for the moral and physical distress visible in Montreal, a city then experiencing rapid urbanization and the growth of a working class, Bourget was also a patriot whom the events of 1837 anchored to a conservatism antipathetic to any political or social adventure. 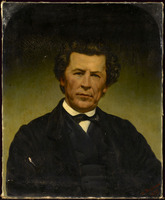 It is significant that when the Institut Canadien, at the instigation of Jean-Baptiste-Éric Dorion*, founded on 5 April 1848 the Association des établissements canadiens des townships, the chairmanship of the central committee was given to Bourget, while Louis-Joseph Papineau had to be content with the vice-chairmanship. But in September the bishop resigned, and although the association survived it fell prey to ideological and political conflicts. No compromise was possible between the Ultramontane and the liberal, between the undisputed leader of his clergy as well as to a lesser but real degree of the conservative middle class which had rallied to the Reform party of Louis-Hippolyte La Fontaine* and Robert Baldwin*, and the former Patriote chief who since his return from exile had vehemently demanded the “repeal of the Union,” a local variation of the liberal principle of “nationalities” (self-determination). 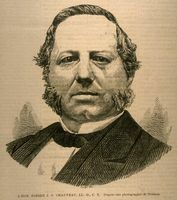 Following Papineau’s example, the contributors to L’Avenir, a paper that began in July 1847 in Montreal, stood more and more aloof from the Reform majority. 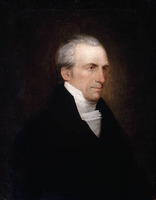 One of them, Papineau’s nephew, Louis-Antoine Dessaulles*, moving in the wake of his uncle, proved a determined adversary of responsible government. Throughout May 1848 he argued passionately in L’Avenir that “the Union is undeniably the most flagrant injustice, the most infamous outrage upon our natural and political rights that could be perpetrated.” The February revolution in Paris, and more importantly the seditious turn of events in Rome, inflamed men’s minds. Pius IX, having shaken off his fleeting inclination towards liberalism after refusing to declare war on Austria for the liberation of the peninsula, had aroused the anger of the Italian patriots, and in face of the revolutionary ferment he deemed it prudent to flee Rome and take refuge in the kingdom of Naples. The question of the temporal power of the pope was from this moment a real one. The pope having failed to take up his task as leader of the national movement, the Roman republic, proclaimed on 5 Feb. 1849, took over the government of its territory by virtue of the right of a people to self-determination. There was no better way to cement the alliance between the clergy and the La Fontaine-Baldwin party. Through fear of possible upheavals, religion became the bulwark of political and social order. The Reform party, soon to call itself the Liberal-Conservative party, obtained appreciable political advantages from the clerical influence thus placed at its disposal. 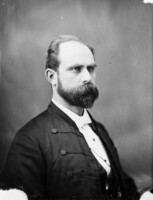 On the other hand their more liberal opponents, nicknamed the Rouges because of their radical arguments for the abolition of tithes, the secularization of education, the separation of church and state, and, on the strictly political side, annexation to the United States, attracted the persistent and unrelenting opposition of this same clergy, and especially of Bourget, particularly from the moment when the L’Avenir group seized control of the Institut Canadien, that is, in 1851. The bishop of Montreal continued his tireless efforts in the field of social action. 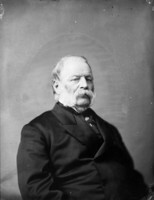 Because the first association set up to encourage the settlement of the Eastern Townships had failed to attain its goals in the circumstances already mentioned, Bourget personally took over the project, being behind the second association, dedicated to the same purpose, which the Canadian bishops recommended at their assembly in Montreal on 11 May 1850. Intemperance was a social evil in French Canada at that period. 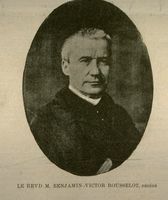 He entrusted the struggle against this scourge to the eloquence of Abbé Charles-Paschal-Télesphore Chiniquy* and in 1853 he founded the Annales de la tempérance at Montreal. His zeal encompassed the poor: convinced that each parish ought to see to their needs, he encouraged, with this intention, the expansion of the St Vincent de Paul Society, presiding over the founding of the Montreal conference on 19 March 1848. Among other unfortunates, the deaf-mutes required assistance: in 1850 there were about 1,100 in French Canada, 400 of whom lived in Montreal. For them, Bishop Bourget established the Hospice du Saint-Enfant-Jesus at Côte-Saint-Louis (now part of Outremont), and entrusted its management to Abbé Charles-Irénée Lagorce*, who was shortly succeeded by the Clerics of St Viator. The fire in Montreal on 8 July 1852, which destroyed 1,100 houses as well as the cathedral and the bishop’s palace and which left about 10,000 destitute, grieved him deeply, and his words at the time testify to the charity and compassion he brought to all tragedies and disasters. By the role he played in social action he helped to sustain an ongoing broad movement of moral and religious renewal. This document, dated 4 June 1854, did not prevent the institute from getting 11 of its members elected to the Legislative Assembly that summer. Its success allowed “the brilliant pleiad of 1854,” as Arthur Buies* called it, to abandon pure speculation for action, having been restricted heretofore to the institute’s own platform or to Le Pays, which had replaced L’Avenir two years earlier. 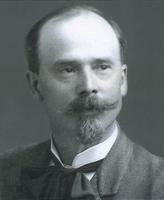 While Charles Daoust*, the member for Beauharnois and editor of Le Pays, demanded in his paper the separation of church and state, Joseph Papin*, the member for L’Assomption, constituted himself the interpreter in parliament for his liberal colleagues with the aim of obtaining a particularly important consequence of that separation, nondenominational schools. No doubt contemplating future battles against those who held these views, which could not but give offence to him as an Ultramontane, Bourget set off a third time for Rome, on 23 Oct. 1854. 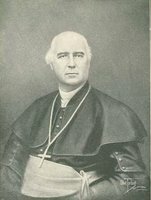 Turgeon, the archbishop of Quebec, who had succeeded Signay at his death on 3 Oct. 1850, had invited him to represent the ecclesiastical province at the proclamation of the dogma of the Immaculate Conception, set for 8 December. 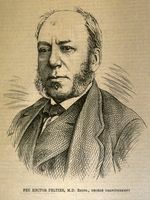 Bourget spent his leisure in Italy and France studying in detail the particular characteristics of the Roman liturgy, which tine Benedictine Prosper Guéranger had been zealously restoring in France since 1840, and in 1856 he published in Paris a substantial volume of 569 pages entitled Ceremonial des évêques commenté et expliqué par les usages et traditions de la sainte Eglise romaine avec le texte latin, par un évêque suffragant de la province ecclésiastique de Québec, au Canada, anciennement appelé Nouvelle-France. He presented complimentary copies of his book to all the bishops of France, a courteous gesture which did not, however, make the work a best-seller; it was seldom read. 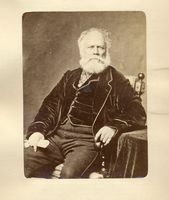 Nevertheless, when Bourget returned to Montreal on 29 July 1856, he hastened to apply to the last detail the conclusions he had drawn from his newly acquired erudition in liturgy. In his ultramontane fervour he sometimes acted with a haste and intransigence which ran counter to what certain subordinates such as Abbé Charles La Rocque*, parish priest of Saint-Jean (Saint-Jean-sur-Richelieu), believed feasible, and to their conviction that one should not sweep away time-honoured usages. Probably realizing that the young generation of ecclesiastics would be more receptive to his views, Bourget wanted the Séminaire de Montreal to adopt manuals of Roman theologians instead of those of the Gallican Jean-Baptiste Bouvier being used by the Sulpicians The bishop regretted “that here as in France, the Society of Saint-Sulpice, which in many ways is so worthy of respect, is not at the head of this splendid movement which is taking place throughout the world in favour of the sound doctrines of Ultramontanism.” Even the details of priestly garb were not a matter of indifference: in 1858 he made it obligatory for his clergy to wear the Roman collar instead of the French band. Finally, as one more of the indirect results of his last voyage to the banks of the Tiber, his cathedral, destroyed by fire in 1852, was to be rebuilt on no less a model than St Peter’s in Rome. His nearly two years overseas reinforced Bishop Bourget’s ultramontane convictions. What he saw in Italy, in the state of Piedmont which had remained clerical for so long and where the liberals had since 1850 been pursuing their task of secularization, contributed in no small measure to confirming his aversion to liberalism. Back in Montreal, he found himself again confronted by those liberals whose principles and activities had seemed so detestable to him in Europe. But he did not act immediately. To counteract the influence of the Institut Canadien, a group of its moderate members had in 1852 started a rival association, the Institut National, which they had placed under the patronage of the bishop of Montreal; its success had not, however, lived up to the expectations of the founders and their protector. On 2 Feb. 1857, no doubt thinking that they would be more fortunate, the Sulpicians set up the Cabinet de lecture paroissial with spacious premises near the Place d’Armes, “in opposition to the Institut Canadien” according to a contemporary, Laurent-Olivier David*; a literary centre which was attached to it in October subsequently became the Cercle Ville-Marie. In September 1854 the Jesuits, who had founded the Collège Sainte-Marie in 1848, had forestalled the Sulpicians in the battle against the common foe by setting up in their college the Union Catholique, first a congregation and then an academy, which on 23 Nov. 1858 started the newspaper L’Ordre espousing the views of Louis Veuillot [see Cyrille Boucher*]. Whether or not the two enterprises, Sulpician and Jesuit, had produced the anticipated results, Bishop Bourget decided to take drastic action. He did so in three pastoral letters on 10 March, 30 April, and 31 May 1858, which followed a well-developed plan. 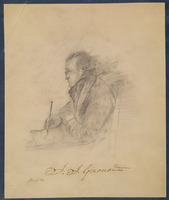 In the first letter, he described the disastrous effects of the French Revolution and, generally, of all revolutions, which he attributed to the circulation of evil books; in the second, he indicated that revolutionary propaganda could be prevented in Canada through the enforcement of the rules of the Index; and in the third, he stigmatized those whom he considered the harbingers of revolution in Canada, the liberals of the Institut Canadien. The institute, brought under attack by the first pastoral letter, in which it was likened to “a seat of pestilence” for the whole country, met on 13 April. The majority of its members, in accord with the liberalism it professed, refused to yield to the bishop’s threatening text. Indeed, for a liberal, each person has the power to choose his intellectual sustenance as he wishes; cases of poisoning that may result are merely accidental inconveniences, amply compensated for by a higher good: liberty. But the minority, following its leader Hector Fabre*, although as desirous as the radical majority of not finding itself under the thumb of the clergy, was ready to compromise. Fabre and his friends realized that most of the institute’s members lacked the necessary maturity and culture to tackle indiscriminately the reading of certain works in their association’s library. They believed “that if society has the right to regulate the sale of poison, the institute should have the right to forbid its members to poison themselves.” Since no agreement could be reached, a separation followed. On 22 April 1858, 138 of the some 700 members tendered their resignations to the president of the Institut Canadien, Francis Cassidy*. On 10 May they formed an opposing association which they named the Institut Canadien-Français. In his second pastoral letter, dated 30 April, Bishop Bourget called the Institut Canadien specifically to account. “Against the evil books” in its library he brought forward the rules of the Index. The summons was to submission, otherwise “it would follow that no Catholic could henceforth belong to this institute; that nobody could read the books in its library, and that no one could in future attend its sessions or go to listen to its readings,” for by virtue of the regulations of the Council of Trent the mere fact of possessing, reading, selling, or passing on prohibited books was so grave an offence that it resulted ipso facto in excommunication. The intransigence of the bishop clashed again with the intransigence of the liberals over the war launched by Piedmont which was the start of the unification of Italy. From 1859 Austria was gradually forced out of the Italian peninsula: principalities and the kingdom of Naples disappeared, the Papal States broke up, and the kingdom of Italy was brought to completion by virtue of the principle then entering into international public law: the right of peoples to self-determination. Concurrently with the expansion of ultramontanism, which the Zouave movement powerfully assisted, liberalism as represented by the Institut Canadien met with one defeat after another. Attempts at reconciliation with the bishop of Montreal in 1864, a petition addressed to Pius IX by 17 Catholic members of the institute in 1865, unfavourable reports by Bourget to the Holy Office in 1866 and 1869, all these proceedings finally resulted in the Annuaire de l’Institut Canadien pour 1868 [see Gonzalve Doutre*] being placed on the Index in July 1869. The Guibord affair [see Joseph Guibord*; Alexis-Frédéric Truteau*], with its succession of sudden developments between November 1869 and 1874, really marked the final decline of the association, even though the Privy Council in London appeared to give victory to the liberals over the ecclesiastical authority. 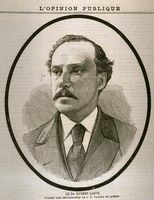 Joseph Doutre in particular, who with Dessaulles was one of the institute’s most influential associates, never forgave the clergy for having subjected him to relentless opposition as a member of it, and especially whenever he aspired to a political role in his country’s government. This conflict was not the only one in which the bishop of Montreal was involved. An Ultramontane and a churchman par excellence, he was paradoxically led by circumstances to wage exhausting and endless struggles against the two most impressive religious institutions of the Canadian church at that period, the Séminaire de Québec and the Séminaire de Saint-Sulpice at Montreal. 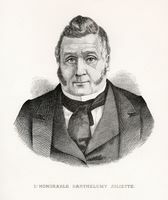 The founding in 1852 of the Université Laval by the Séminaire de Québec stemmed from Bishop Bourget’s initiative [see Louis-Jacques Casault*]. But this initiative was based on a misunderstanding. According to the bishop the new university was to be a provincial one for which all the bishops of the ecclesiastical province took responsibility. It was not long, however, before he was forced to sound a different note, since the organization and management of the university were taken over entirely by the seminary and the archbishop of Quebec. An attempt was made to allay Bourget’s apprehensions by introducing an affiliation clause making the extension of university privileges to affiliated institutions possible, but this clause proved inoperative in his diocese. 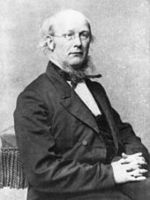 In 1858 none of the local classical colleges was affiliated with Laval, and an application from the Montreal School of Medicine and Surgery was twice turned down [see Hector Peltier*]. From 1862 Bishop Bourget thought of establishing another university in his episcopal city. He was impatient to do this because of the increasing numbers of Catholic students who had to enrol in the faculties of law and medicine at McGill College and elsewhere. 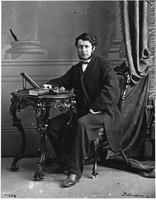 In 1865 he based an application to Rome on statistics: in 1863–64 Laval had only 72 registered students. Few of those who enrolled came from Montreal, which had 530 Catholic students at the university level, counting those attending the “grand séminaires.” For its part the Séminaire de Québec stressed that in 10 years it had spent more than $300,000 to maintain the university, whose future would be irrevocably compromised by an institution at Montreal. Rome concluded that it was not expedient to create a second university at Montreal. In 1870 Laval suggested a branch in Montreal, but as the authority of its bishop was virtually ignored, Bourget rejected the project. Two years later the Montreal bar started negotiations which came to naught. The Jesuits attempted in their turn to obtain university privileges for the law school of their Collège Sainte-Marie from the government, but the bishop, at Rome’s request, asked them to withdraw their petition [see François-Maximilien Bibaud]. A provisional epilogue in the dénouement of this 25-year university crisis came in a resolution of Propaganda dated 1 Feb. 1876 stating that a branch of the Université Laval should be established at Montreal. 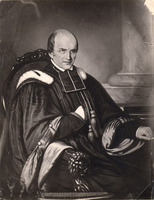 The costs were to be paid by Montrealers, but the university authority would remain at Quebec, the bishop of Montreal being at most permitted to approve the appointment of the vice-rector. Bourget, however, tendered his resignation as bishop soon after, and thus avoided having to implement such a decree. Another conflict, no less bitter, had pitted Bourget against the Séminaire de Montréal over the thorniest problem with which he had to deal as an administrator: the division of the parish of Notre-Dame. At the time of his resignation the feelings aroused by this incident had only just subsided. “The Parish,” as the expression went, covered all of Montreal Island and in 1864 it had a population of 100,000. Its status had not changed since Bishop François de Laval* had erected the parish of Ville-Marie canonically in 1678, and united it for all time to the Séminaire de Montréal. A few years later an ordinance of Bishop Saint-Vallier [La Croix*] had decreed that the superior of the seminary should be ex officio the parish priest. In 1863 the superior general of Saint-Sulpice in Paris presented a report to the Holy See in which he begged that the established order be maintained. 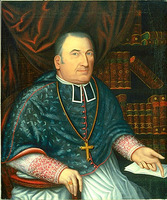 Asked to reply to him, Bourget stated: “I grant that the superior of Saint-Sulpice should be the priest in perpetuity of the parish of Montreal. But, at the same time, I expect him to be entirely subordinate to the bishop. This entire subordination to the bishop on the part of the parish priest of Montreal must be that which is required by the holy canons for the good government of souls.” The two parties were summoned to Rome. The superior proved conciliatory on certain points but adamant as to a method of dismissal for the parish priest; he even threatened the bishop that he would withdraw from Montreal his entire community of 57 priests, of whom 42 were assigned to pastoral ministry. 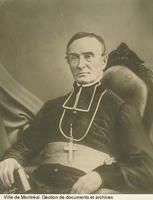 Finally in 1865 the superior accepted the following decisions of Propaganda: the bishop obtained authorization to divide the parish of Montreal; the new parishes would be offered first to the Sulpicians; the parish priest of Notre-Dame would be nominated by the seminary but would receive his investiture from the bishop; he could be dismissed by either the superior or the bishop [see Joseph-Alexandre Bails; Joseph Desautels]. By this time the battle was raging on all fronts. Le Nouveau Monde, begun in 1867, identified itself with the causes supported by Bourget, who on 28 Sept. 1872 condemned La Minerve, Cartier’s journal, “because of the insults it continually hurls at the editor of Le Nouveau Monde, that is to say at me.” The ultramontane paper had conducted a relentless campaign for four months against the work Beaudry had published at Montreal in October 1870, Code des curés, marguilliers et paroissiens accompagné de notes historiques et critiques. 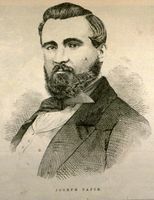 A new St George, Canon Godefroy Lamarche, the editor of Le Nouveau Monde, seems not to have been able to crush the dragon of “Gallicanism” in Beaudry, for in 1872 Siméon Pagnuelo, a young lawyer who was Lamarche’s legal adviser and associate, in his turn published Études historiques et légales sur la liberté religieuse en Canada [see Desautels] which attacked Beaudry’s arguments. Weighed down by so much labour, and often sick, Bourget had secured Canon Édouard-Charles Fabre*, Cartier’s brother-in-law, as a coadjutor. The archbishop of Quebec presided at his consecration on 1 May 1873 in the church of the Collège Sainte-Marie. All the bishops had assembled around the archbishop and Bourget, the dean of the Canadian episcopate. 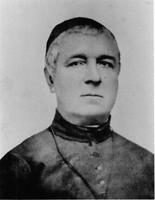 Archbishop Taschereau judged it his duty to straighten things out. 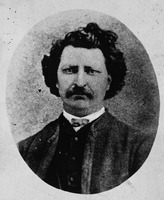 In his pastoral letter of 24 May 1876, he stated that it was necessary to discriminate between the liberalism which had been condemned and the liberalism which had not. He enjoined his priests not to speak of politics in the pulpit or elsewhere, and to show no preference for any candidate. But Bishop Persico believed the archbishop could no longer control the situation. Rome would have to institute an inquiry on the spot: this would be the mission of Bishop George Conroy*. Bishop Bourget thought that his resignation at this time would quell the storm. Such was his wish when on 28 April 1876 he asked Cardinal Franchi “to persuade the Holy Father, by accepting my resignation, that I be cast into the sea, so that perfect calm might be restored.” On 15 May he learned that his resignation had been accepted by the pope, to take effect in September. 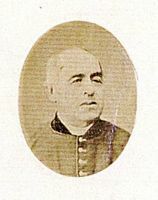 Bourget was appointed archbishop of Martianopolis, the former capital of Moesia Inferior, a region that partly corresponds to present-day Bulgaria, and retired to the residence of Saint-Janvier de Sault-au-Récollet in the spring of 1877, together with his loyal secretary of more than 30 years, Abbé Joseph-Octave Paré*. Ill and exhausted, Bourget had, as he said many times, but one desire: to “meditate on the years of eternity.” Only twice did he come out of his seclusion for any substantial period. The first time, urged by the die-hard supporters of an independent university at Montreal, the old man, then nearly 82, embarked on yet another journey to Rome from 12 Aug. to 30 Oct. 1881. He was unsuccessful, for Propaganda confirmed its decree of 1 Feb. 1876: there would be only one Catholic university in the province of Quebec. The second time, to help pay off the diocese of Montreal’s enormous debt of some $840,000, he travelled through the parishes, in all seasons regardless of the weather, to collect donations. In his memorandum to the clergy on 11 Oct. 1882 he announced that his trip had yielded the grand total of $84,782. This sum was no more than a tenth of the amount necessary to extinguish the debt but, in the words of one of his friends, “he re-established the confidence which seemed temporarily to have ebbed in the possibility of meeting the diocese’s monetary crisis.” On 9 Nov. 1882, at Boucherville, concluding his diocesan collection he celebrated the diamond anniversary of his ordination. This occasion really was the end of his public life. Sick and growing ever weaker, he passed away on 8 June 1885. After an impressive funeral in the church of Notre-Dame, his body was placed in a vault of the unfinished cathedral in Montreal. A commemorative statue by artist Louis-Philippe Hébert*, a former Papal Zouave, has stood in the parvis of the building since 24 June 1903. His remains were finally transferred on 20 March 1933 to another part of the cathedral, the mortuary chapel for bishops and archbishops; his mausoleum, which stands in the centre, is the visual symbol of his pre-eminent place in the history of the diocese. Even today the personality and work of the second bishop of Montreal still inspire intense feelings. One has only to look through recent historical works to realize that there are fewer devotees than there were 10 or 20 years ago, and that his religious and political conceptions are being scrutinized more and more critically. It is impossible to think of Ignace Bourget as other than a man of the church, but it was an authoritarian, uncompromising, intolerant church, in short the church of the last phase of the pontificate of Pius IX, whose anathema against the modern world in the end confined Roman Catholics as a body to a kind of ghetto. On the other hand, to do justice to the bishop, one must stress the tireless worker he proved to be despite an often deplorable state of health; the leader who awakened the devotion of so many; the man of prayer whose saintliness inspired a veritable cult; and finally the effective administrator who set up or helped to set up so many lasting institutions within and beyond his diocese. That is why Bishop Bourget remains, despite his inadequacies, one of the great architects of the province of Quebec. 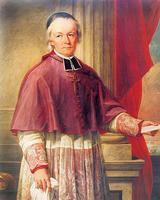 [The ACAM is of course the principal source for information on the life and work of Bishop Ignace Bourget. In particular, the Registres des lettres de Mgr Bourget (RLB) and the valuable file on the Institut Canadien (901.133; 901.134; 901.135) were used. In 1965, when the file was first opened, its contents had not yet been classified. A perusal of the file revealed that there was a wealth of information in the material from the institute’s members or about them; in particular, the numerous letters from Louis-Antoine Dessaulles to Bourget on the difficulties arising between the institute and the bishop proved most important and useful for defining the existing liberal and ultramontane ideologies and delineating the conflict between lay and clerical forces at that time. The Mandements, diocèse de Montréal, I–VIII, are an essential printed primary source. 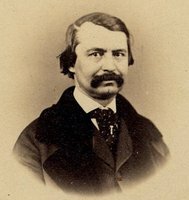 The most complete list of Bourget’s writings is to be found in Léopold Beaudoin’s thesis, “Bio-bibliographie de Monseigneur Ignace Bourget” (thèse de Bibliothéconomie, univ. de Montréal, 1950). Danielle Boisvert’s recent work, Inventaire sommaire d’une collection de mandements, lettres pastorales et circulaires de Mgr Ignace Bourget (P 66), 1840–1858 (Montréal, 1979), prepared as one of the publications of AUM, is also useful. Philippe Sylvain, “BOURGET, IGNACE,” in Dictionary of Canadian Biography, vol. 11, University of Toronto/Université Laval, 2003–, accessed April 19, 2019, http://www.biographi.ca/en/bio/bourget_ignace_11E.html.